Recycling in an apartment may seem like a hassle, but it's easier than you'd think! 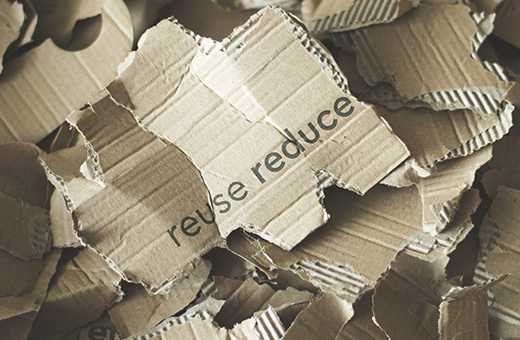 Here at Rockliffe Residences, we encourage recycling and want to help all of our residents find easy ways to recycle. Recycling in an apartment doesn't have to take up a lot of space. In fact, retailers like Canadian Tire have small combination containers that will help you save space in your apartment while offering storage for your recyclables. It's important to remember that you can drop off your recyclables anytime to our buildings' recycle bins, so you won't need large containers that are hard to fit in your apartment. When we shop efficiently, we can eliminate a lot of waste. Look for items with minimal packaging, refillable containers, and items that can be recycled after use. Abeego is a beeswax wrap that is completely biodegradable. This plastic wrap replacement will help keep your foods fresher longer. Reusable straws are available in silicone, stainless steel, and glass. ChicoBags are reusable drawstring bags for produce available in solid fabric or mesh. Upcycling can help you save space while recycling in an apartment. Instead of disposing of an item, reuse it or turn it into something else. Single serve yogurt containers are great for starting seeds, glass jars make a perfect home for air plants, and plastic containers can be used for storage. Our Oakville residential recycling program can't accept items like pens, markers, clothing, and batteries. So, we've researched other ways to recycle these items. Most Staples locations will accept batteries, ink and toner cartridges, electronics, and writing instruments. They even offer safe and secure paper shredding. H&M stores accept used clothing of any brand for recycling. They even offer coupons off your next purchase when you recycle. Cereal bags and cigarette butts can be recycled through TerraCycle Canada. Recycling while living in an apartment can be easy, and when we reduce our waste by reusing products before we toss them, we can greatly reduce our environmental impact.